The fate of the pleasingly chaotic Vallejo hip-hop crew SOB X RBE has been unclear for a while now, with internal conflicts threatening to send key members off into solo careers and ultimately sink the group. They sometimes seemed destined to shoot into ubiquity and self-destruct within the same calendar year. But the calendar has flipped, and SOB X RBE are still going strong. Last week they released a pretty good EP with the EDM joke turned pan-genre hit-maker Marshmello. And now they’ve got another new project with an entirely different producer. 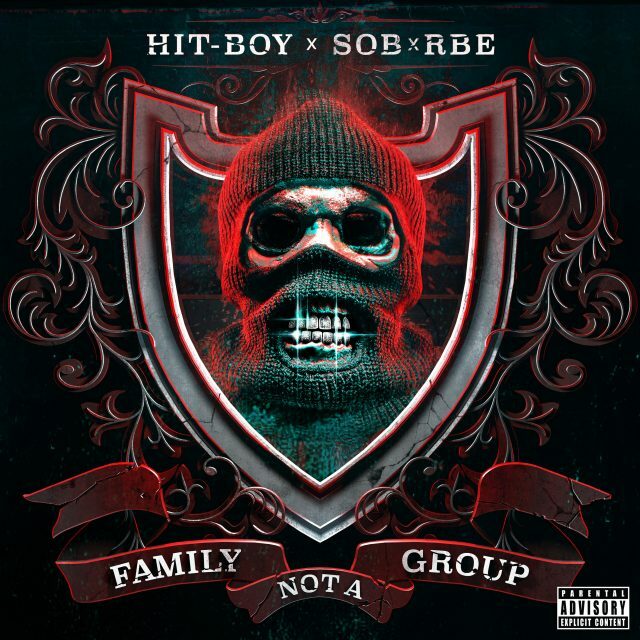 Family Not A Group finds SOB X RBE partnering with Hit-Boy, the elite rap producer and sometimes rapper who did the beats for the Kanye/Jay-Z summits “Niggas In Paris” and “Clique,” Beyoncé’s “XO,” Kendrick Lamar’s “Backseat Freestyle,” Drake’s “Trophies,” and other masterful singles. Like Marshmello, he mostly caters his style to SOB X RBE’s ping-ponging Bay Area approach. It works! Occasionally they depart from the formula; the title track, which now has a music video, is the West Coast version of a standard-issue trap beat. That works too. The whole nine-song collection is worth your time, so stream it below, where you can also catch that video. Family Not A Group is out now on Def Jam.